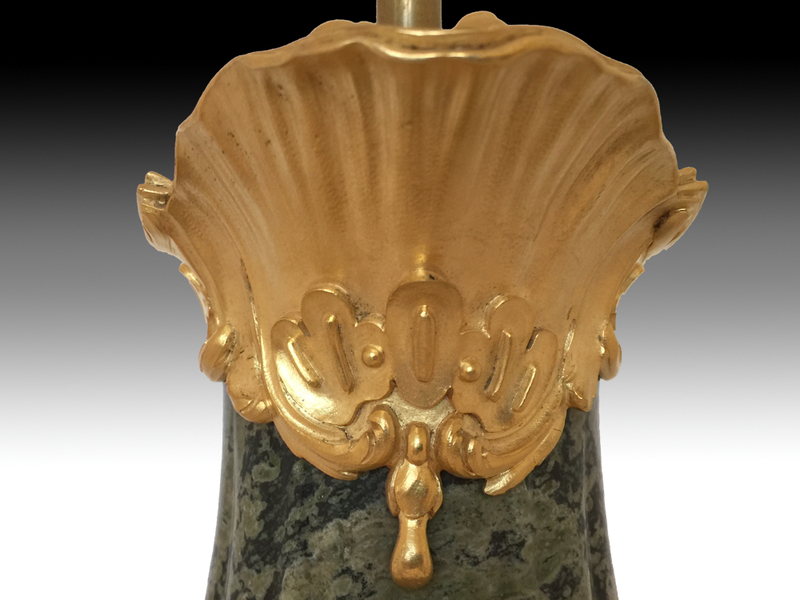 A fine pair of late 19th century French Louis XV style gilt bronze mounted verde marmo aiguières, later converted for table lamps. 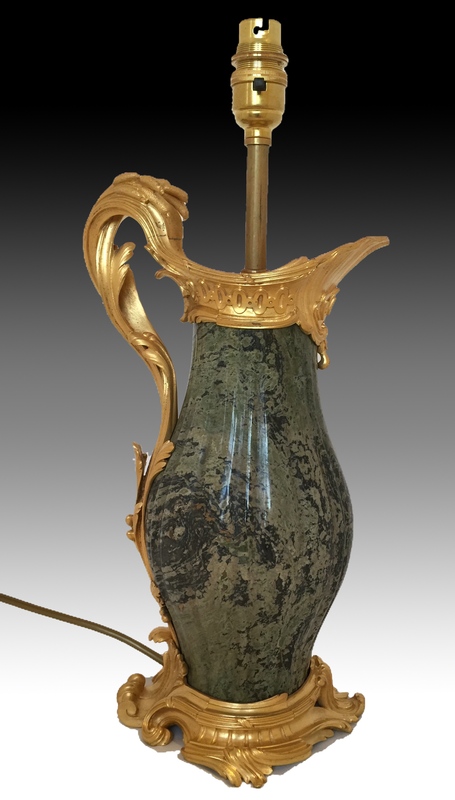 Each elongated reeded turned marble body mounted with finely cast and chased acanthus leaf and bulrush rims, looped handle and foot in the Louis XV rococo style. 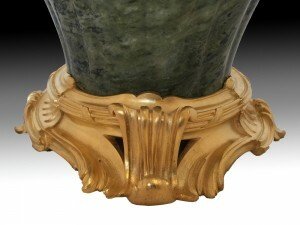 The mounts retaining their original matt and burnished gilding. 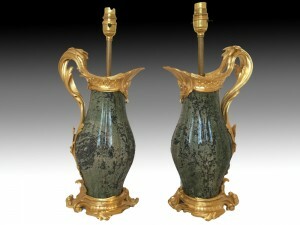 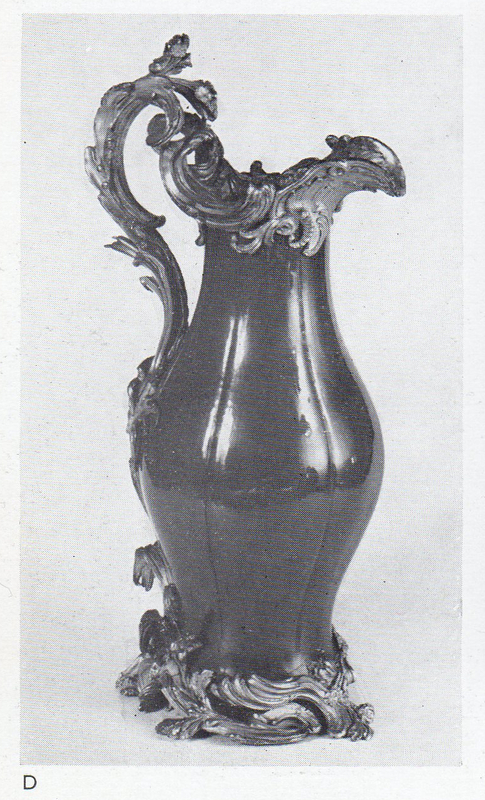 These Vases can be attributed to Paul-Charles Sormani. 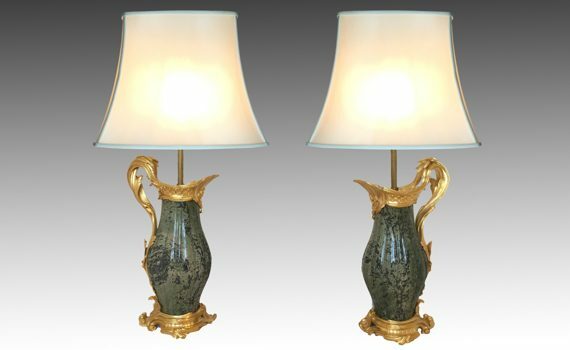 For a similar pair stamped ‘PS’ see Sotheby’s Lot 34 & Lot 35 Property from a distinguished Private Asian Collector. 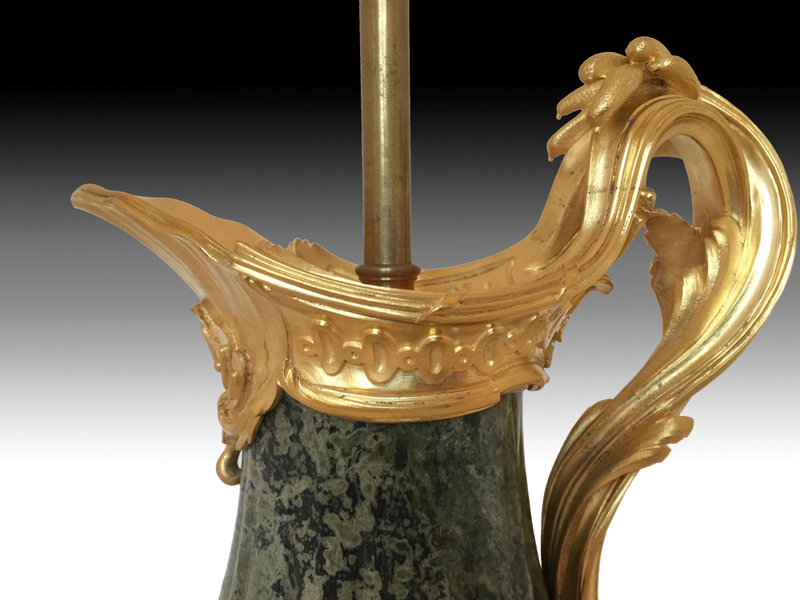 These ewers are closely related to a pair of Louis XV gilt bronze mounted lacquer vases, by Jean-Claude Duplessis (1699-1774) housed in the Wallace Collection.